Updates — Play. Story. Eat. After about a month and a half of travels with Cesar and Elba Gonzalez, Bill Burrows and I are welcoming about 100 new friends to our Daybreak International Play. Story. Eat. Update! If you are new to the group, welcome! As we made the rounds from Kansas to Nebraska to Missouri to Oklahoma and finally to Texas, we shared many of the stories of God at work in Guatemala and beyond. And….we ate… a lot! Occasionally we did a “Taste of Guatemala” event for various groups, but often it was a matter of friends introducing good old fashioned American food to Cesar and Elba while they were here! They got to taste a whole host of scrumptious food like KC ribs, barbecue, chicken fried steak, deer, hamburgers, spaghetti, Tex-Mex, biscuits and gravy, etc, etc! At a meal at Sam and Judy Anderson’s in Sibley, Missouri, we enjoyed some tasty deer steaks and all the fixin’s! From left to right around the table are Cesar Gonzalez, Elba Gonzalez, Michael Macias, Carla Macias, Sam, Judy, and my wife Nola. In nearly every place we went, we asked our friends to set their cell phone alarms for 10:02 a.m. or p.m. Why? So that when their alarm goes off, it reminds them to pray Jesus’ prayer of Luke 10:2…”The harvest is plentiful, but the workers are few. Pray therefore that the Lord of the harvest will send forth laborers into His harvest fields…” So many opportunities lie before us that we believe this is the most strategic thing anyone can do for us or any of our Play. Story. Eat friends. The harvest is there. It’s ready. Workers are needed. Pray accordingly! So to those of you joining us, we want to say thanks for joining in “10:02 prayer.” In each update we list a prayer need. In addition, we mention an action to take as a way that you can ENGAGE in the PSE mission. And then we offer an opportunity to INVEST in what God is doing. Usually, these three headings come at the end of the update. This week we want to flip it and share this information up front. Then you’ll see pictures of some of the places we have been in the last month. Next time we will jump into more of the ongoing mission stories that many of you have come to expect. As we pray for laborers for His harvest, we ask you to pray for your church and your friends all over the world engaging in evangelism/discipleship. However you do church, remember that every person in the world needs a friend who loves Jesus! Let’s ask God to empower us with courage and humility to be that kind of friend. Note that next time I will have a list of prayer needs for a whole slate of PSE Training Camp activities scheduled for May in Guatemala, Honduras, and El Salvador. Stay tuned! If you are getting this email for the first time, please reply and let us know that you got it! Everyone else, I’d invite you to write a one or two-sentence note to welcome our newcomers—perhaps saying something about what you enjoy in our updates! I’d like to print some of these next time if you send me something! Words hardly express how appreciative we are for your continued partnership in this ministry. Each week we offer an easy button for you to invest….here it is! Thanks for partnering with us! On Sunday, April 7th, we gave a short mission report at Top Hand Cowboy Church in Valley Mills, Texas. From left to right are Bill Burrows, me, Greg Moore (pastor of Top Hand), Elba, Cesar, and Frank Milano. At a Cracker Barrel near Fort Worth, Texas, we reconnected with Frank Milano and Rick Watson (sitting on the same side of the table with Cesar). Both of these men have been to Honduras on mission trips with us. And both have been part of the start-up of several cowboy churches in Texas. In fact, Frank was a member of the first official cowboy church that was started in the 80’s at Billy Bob’s in Fort Worth—known as the world’s largest honky tonk! Great story! 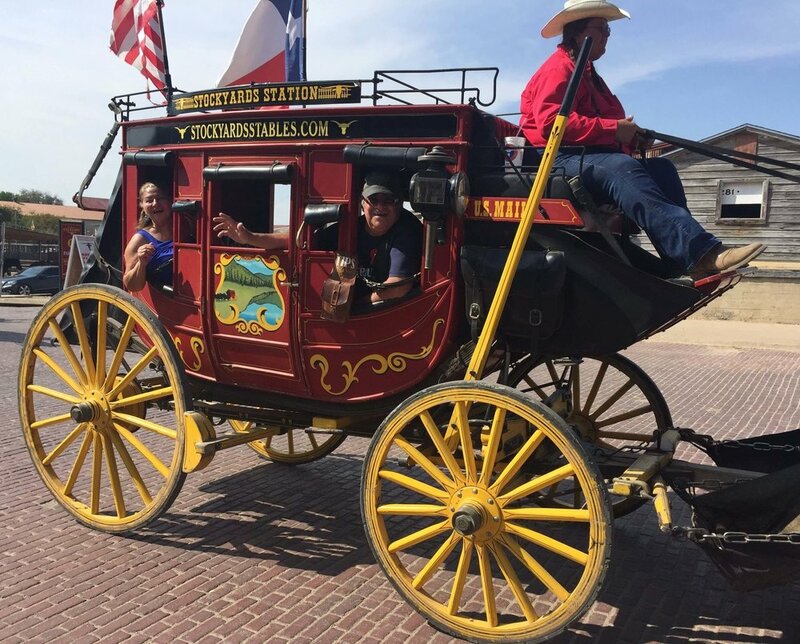 One day in Fort Worth, Cesar and Elba enjoyed a stagecoach ride at the world famous stockyards! While speaking to folks at LifeQuest Church in Belton, MO, Steve, Nola, Elba, and Cesar shared how team members can share their faith story in cross-cultural settings in Guatemala. Pastor Chris Pinion greeted Elba as we entered the building of LifeQuest Church in Belton, Missouri. Elba Gonzalez taught some of the ladies at LifeQuest Church how to make tortillas. With a group of friends at First Baptist of Avilla, Missouri, Elba shows how to flip the tortillas without a spatula! On the right, Joann Clark tries her hand at it. Cesar and Michael Wright, of Oak Grove, Missouri, pause for a picture between stories of surviving in the wilds of Alaska and Cesar sharing how he grew up in Guatemala. In Omaha, Nebraska, Dr. Kristin Reed graciously performed a complete eye exam for Cesar and Elba—saving them time and money in getting current prescriptions for eye-wear before returning to Guatemala. 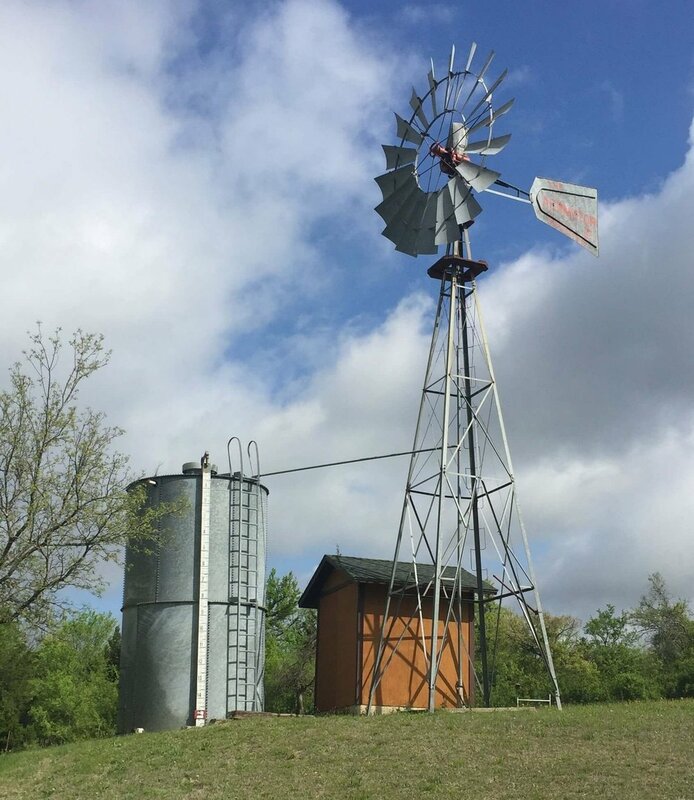 Near Benbrook, Texas, we visited Mark Welch’s farm where he builds working windmills. This particular windmill provides all the water for his house. Mark Welch (center) explains how his windmills work. Frank Milano (left) and Tim Tucker (right) look on. 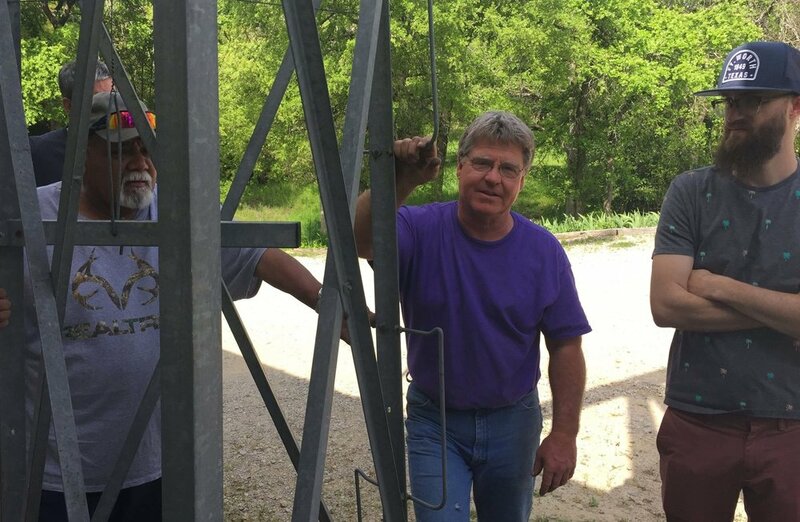 When Mark was in Guatemala last year, ranchers were intrigued by Mark’s windmill experience and are asking him to help them figure out if windmills would be practical for watering their cattle. Note that what YOU do for a living or for enjoyment is often a very strategic tool God can use to make new friends and open up an opportunity for people to share faith stories that can change lives. I am back from a recent trip to Guatemala, Honduras, and El Salvador and am grateful for another fruitful trip! Before I share more about the opportunities before us, I feel burdened to share some of the realities I am seeing in our work that arises out of our U.S. border problems. In recent months, multiple caravans have started out of Honduras, made their way through Guatemala and Mexico, and arrived at various locations along our southwestern border with Mexico. In my 19 years of coming and going to this region, I have never seen it as crazy as it is now. But from what I am seeing, it has little to do with caravans and more to do with individuals and small groups of people coming illegally in greater numbers. These men took me down to their community water hole before one of our newest groups gathered for the first time near Quesada, Guatemala. After talking about their ideas for pumping water up to the community, I snapped this picture and asked the young man with the US flag on his shirt a question. ‘Have you been to the United States?” I asked. “Did the border officials treat you well?” I asked, thinking of some of the hot political debate I had heard before my trip down. “Who paid that for you?” I asked, knowing that it was virtually impossible for him have saved that much by himself. “Claro que si! Of course!” he answered, smiling broadly. On this trip alone, I had several similar conversations with at least a dozen people. 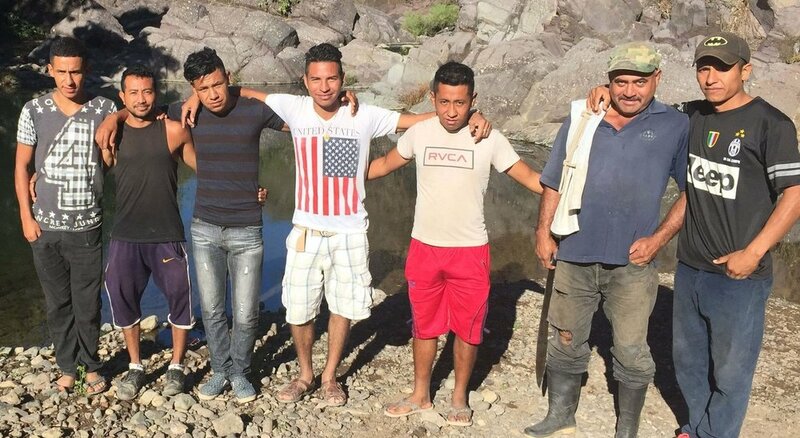 While I have heard these stories for years, one of the newest twists is how the American dream has reached a fever pitch among some of our Kekchi friends in the jungles of Guatemala. Fifteen years ago, when I first met these people, we would take digital pictures and flip the camera around to show them their picture. They would laugh and cackle because for most of them it was the first time they had seen themselves in a photo. Back then, when we told them we were from the United States, most had no idea where that was. Today, when I go to those same villages, one of them pulls out a cell phone, takes a picture of me, and flips it around to show me my picture! And they are probably using that cell phone to stay in contact with a family member in the United States! In January of 2004, on our first trip to the jungle, Jason Neland takes a digital snapshot of the children and then, to their squeals of delight, shows them their pictures! I took this picture last year of these Kekchi teens using their family cell phone to entertain themselves. These girls were taking pictures of what we were doing and showing their friends! Most cell phone usage in the jungle is in areas where there is no electricity. But many huts are getting solar panels that can charge a cell phone and put out enough energy for a couple of light bulbs. This technology is now keeping them in touch with family members who are en route to the United States. Once the family makes it to their destination, they coach others how to come as well. In the past few months, word from their direct contacts has been to come with a child. That way, if they are caught, they are guaranteed to get into the U.S. Shortly before Christmas, Jakelin Caal, a very sick 7-year-old Guatemalan girl was presented by her father to border agents that had caught them coming through the desert. The border agents resuscitated her twice en route to an El Paso, Texas, hospital. Jakelin died shortly afterward. She was from Raxruha, a Kekchi village we worked in about 5 years ago. Though we do not know this family personally, we do know this region quite well. And other friends in the area have told us their stories. One older couple we know told us that 5 months ago their 15-year-old granddaughter and a 19-year-old grandson (I saw both of them baptized a few years ago) walked out of their village one day without saying good-bye to their grand-parents. They headed for the U.S. When detained at the border, the 19-year-old was sent back to Guatemala. Since the 15-year-old girl was a minor, they held her in custody for 5 months until she was reunited with her father who has been in Pennsylvania for 8 years. All told, this father has spent approximately $20,000 in coyotes to get himself and his children into the U.S. To date, only he and this daughter has made it. I could go on. But the reason I share this with you, is that this situation is affecting many of the communities we are working in. I’m concerned about their safety and for some of our newer groups that could flounder when a leader bolts for the border. Bottom line, our friends need prayer. While I am concerned, I also see God working supernaturally in our spiritual friendships across these cultures. In the end, we see that the gospel is winning and that, as a ministry, we are in a no-lose position. God can and will use us on both sides of the border. And He always has a way of working through adversity and problems that the world cannot solve. In short, we are on an amazing adventure of joining Him in making disciples of all the nations. Here are a few more pics highlighting the places we visited during my 4-week-long trip, and I believe you will get a sense of how God is blessing. In a closing prayer at a church near Rinconcito, Guatemala, the church prays for our partnership and a mission trip that their young people plan to take with us to the jungle in a few months. Rex Kelley and Ray Gurney pose with the nucleus of a new church in the jungle. The pastor is not pictured here, but in private he told me that he was seriously considering joining a family member in the U.S. working on a roofing crew. Please pray the pastor stays to lead this flock! A pastor’s gathering in Por Venir, Guatemala, met to pray with us shortly before we left that area for Honduras. Several of these pastors have been involved in soccer evangelism, and Cesar wanted to make sure that they knew to come help us train other Kekchi pastors in May. Cesar speaks to a group of Kekchi pastors in Fray de las Casas, Guatemala. Leaders from this group are committing to help our Kekchi pastors in locations we have worked for many years to learn how to use Kekchi language Bible tools. In May we plan to come back for PSE training with this group. Because of a new road, this more mature group is much more accessible to our younger group of churches. Nola and I enjoyed a rest stop near the coastal town of Tela, Honduras. It was great having Nola come down and join us in our week in Honduras. 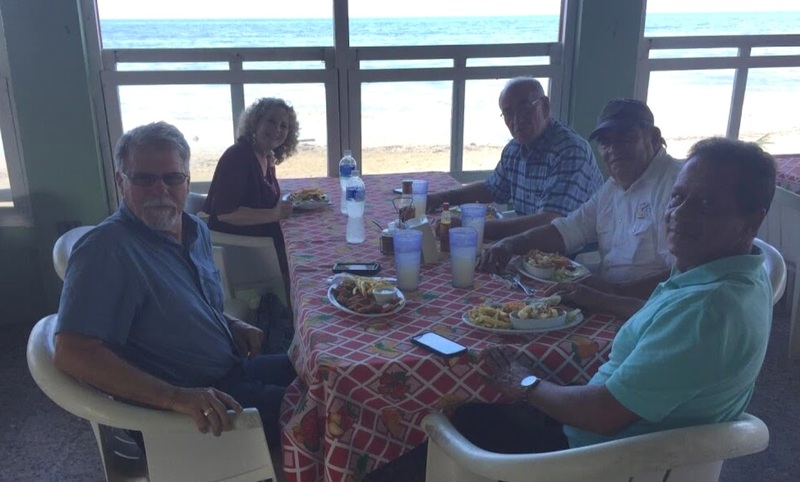 At a restaurant overlooking the ocean near La Ceiba, Honduras, we enjoyed a meal with Adonay, our friend at the head of the table, who will be leading a new Christian Rancher group. As a leader in a Cattlemen’s Association, he later took us to their meeting. For you food lovers, here was my steamed fish with rice, salad, and fried plantains. At our hotel in La Ceiba, we were reunited with some friends we met a few years ago on the other side of Honduras. Fernanda, the girl across the table from me, and Junior, the young man sitting next to me, were students at the National University of Agriculture in Catacamas and part of a student-led Christian Rancher group. Now they are engaged and living in La Ceiba, where they grew up. In 2015, they visited Texas Tech University with a group of bull riders as a part of their exchange studies in agronomy. During one week, I took them around the Dallas/Fort Worth region of Texas, meeting with cowboy churches and friends. Here we are reminiscing and talking about starting Christian Rancher groups in their region. Standing at the back of the property of the Cattlemen’s Association in La Ceiba, Honduras, you can see the runway in the background for their international airport. Standing left to right is Cesar Gonzalez, Ray Gurney, Rex Kelley, and my wife Nola. Rex couldn’t help but be excited about the possibility of one day flying his airplane here! Please pray with him on that. In our meeting with the leadership of the Cattlemen’s Association, they were enthusiastic about what we are doing with Christian Rancher groups and asked if we could help them start a group on their premises. You might notice Adonay seated to my left. At the back of the association property is this picnic area, and when Cesar asked the leadership group if they would allow a group to meet there, they enthusiastically agreed. So we took a moment to pray that God would do great things from that spot. Again, you can see the runway in the background. On what was supposed to be our last day in Guatemala, this group of friends came over to Cesar’s place to visit and wish us well. During this meeting, we got word from our airline that our flight was canceled! One of the volcanoes near Guatemala City spewed some ash in the air and shut down the airport for a day. We got home one day later than we had planned but with no other catastrophes! When you hear border news or debate, let that prompt you to pray for our friends in Guatemala, Honduras, and El Salvador. Thank Him for His blessing of the PSE groups and the growth that they are experiencing. 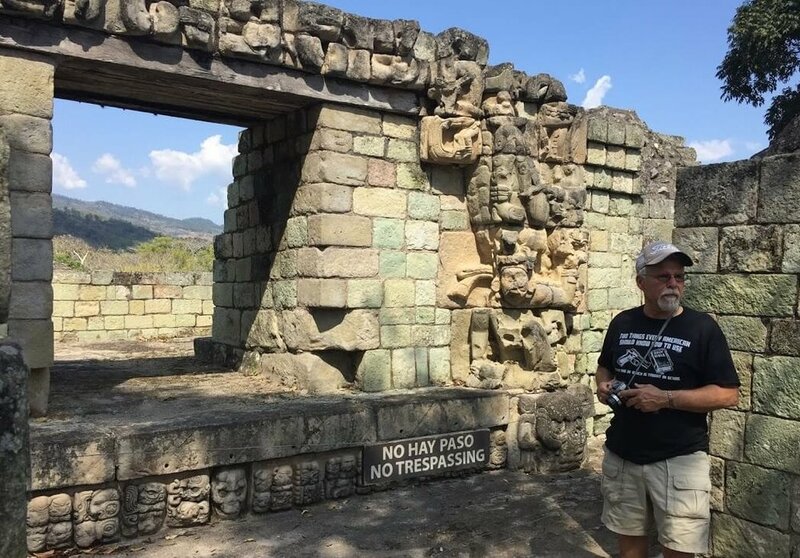 Also pray for Rex as he is beginning to network with a missionary aviation group and other pilots to investigate the possibilities of flying in Central America. This Thursday, February 28th, Cesar and Elba will be arriving in Kansas City for a month of visiting our friends here in the states. The following week we will be in Nebraska. If you are from Nebraska and haven’t heard if we are coming to your church, please contact Bill or me. We have a couple of free days while we are there. Note, too, that in the middle of March we will be in the Kansas City region. At the end of March we will be in Oklahoma. The first few days of April we will be in Texas. If you have a desire for us to schedule time with your group, please let Bill and/or me know right away. We have been traveling a lot lately and will continue to do even more with Cesar and Elba in the next month. Your gifts these days are extraordinarily strategic and appreciated. Thanks! See below for more pics! PS…These are some amazing pics of Mayan ruins in Copan, Honduras. Nola and Rex listen to the guide tell how this stella chronicles the history of one of the Mayan kings. Ray, whose name in Spanish means “king,” stands in front of the area under the arch where the king would sit and rule. Nola and I are overlooking the giant field and stands used for a soccer-like game where the captain from the winning team was sacrificed to the gods so that the Mayan nation’s crops would be fruitful in the kingdom. This stone, in the shape of a turtle, was used by the Mayan king to cut himself over the indented bowl area and let the blood flow down the groove to the ground. The blood of the king was thought to be sufficient to appease the gods for the sins of the people. 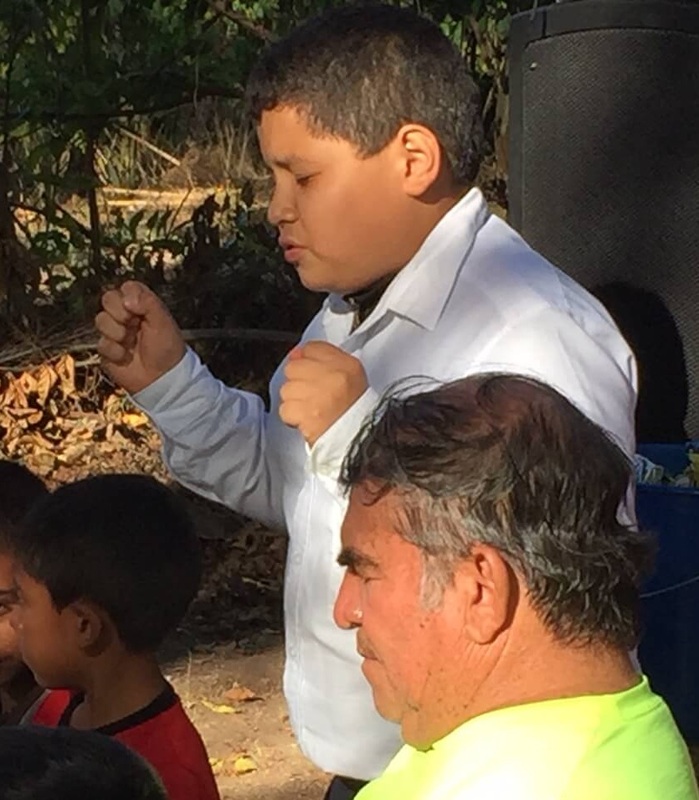 Mayan preacher alert… Oh, but there is the King of glory! The King of all kings who shed His blood, so that no one would ever have to make another sacrifice to appease the God of the universe. One perfect sacrifice offered one time for all! (Hebrews 10:8-18) Man, these Mayan rocks can preach! Can I get a witness?!! As I write these words, I am sitting with Cesar Gonzalez in his home after a week of visiting Play. Story. Eat. groups here in Guatemala. I understand that I have gotten out of some major snow shoveling back home! January in Guatemala offers warm, springlike weather! Wish you were here! We have now visited 7 different groups in these 7 days. Each group’s story really encourages me about the future of PSE in these parts. Today we took some time to evaluate and rest before another week of visiting groups. Next Monday, Ray Gurney and Rex Kelley will be coming to Guatemala to go with Cesar and me to the jungle to help with training of pastors and making some new connections for future theological training. Then we plan to go to Honduras, where Nola will fly into San Pedro Sula to join us for some initial meetings with some ranchers who are interested in knowing more about our Christian Rancher groups. If we have time, we may do a one day side trip to the island of Roatan. I hope to keep sending notes to you. Below are a few pictures of the past week’s groups and activities. Hope you enjoy! Thank you for your prayers for us as we continue to travel and visit groups in the next weeks. Pray also for safe travel for Ray and Rex January 21 and Nola on January 25. We are working on continued plans for March and part of April when Cesar and his wife Elba are planning to be with us. If you have a desire for us to schedule time with your group, please let me and/or Bill know right away. Thank you for your continued giving and generosity. You have made a big difference in the past month. Keep those cards and letters coming! In a PSE group in Santa Rosa de Lima, Cesar looks on as Humberto plays a birthday song on his guitar while his wife Enma brings out a birthday cake for a member of their group. In a first group meeting near Quesada, Cesar explains the rules for a cup stacking game. In a ladies group near Quesada, the ladies pause at the end to share a tamale with one another. This tamale was cooked in banana leaves and is popular to eat at Christmas time. This group near Arenal begins their meeting sharing what they are grateful for. Another PSE group meeting under a tree near San Pedro Alvarado. In asking what this group could do for the community, they discussed working with local officials to help clean up the area around the lake. The meeting at the lake is only a few miles from the Pacific Ocean. This seafood soup had a little of everything in it! The ladies who fixed the soup allowed me a moment to snap their picture. The structure in the background is the framing of a restaurant that will be run by the local community to raise funds for maintaining the lake. Here is a meeting of a group in Las Bolsitas, near Cesar’s home. For those who know the story, this is the dog bite church! It got started in a house where I got bit by a dog. Note that they have moved to this new space in the middle of coffee trees (which is what you can see in the background). The group in Las Bolsitas started with a children’s group. To reach more of the parents, Cesar offered a prize to each kid who ran home and got their mothers. This boy is thrilled that he got his mother and will soon get a prize! Sanders, a 12 year old boy, prays at the end of our meeting in Las Bolsitas. Called “the preacher,” Sanders has been a believer for a couple of years and owes his dedication to God delivering him his life when he had no hope for living through a serious illness. In a children’s event at a church near Cesar’s home in Amberes, these teachers enjoy a moment when Cesar gives prizes for various children who participated in the story time. At the end of the children´s meeting, Cesar presented colored pot holders to some of the women and asked this volunteer to share what the colors mean. When people come to Guatemala with us, many are struck by the beauty of many of the out-of-the-way places we visit. For me, it never gets old—especially when getting a break from our winter weather here in the Midwest! To give you a taste of this, I thought I’d share with you a few pictures from a recent trip to the jungle with my new friend Aden Shorney. Aden has attended Westside Family Church in the Kansas City area for many years and is currently working as a volunteer with the youth group at the Speedway campus of Westside. In January, Aden will be on his way to Concordia, Kansas to study wind turbine mechanics. As an avid duck hunter and fisherman, he wanted to experience some of the wilds of the Guatemala jungle. In addition to his love of the outdoors, Aden shares a love of running. As a former cross country runner at Johnson County Community College, he jumped at my invitation to take him on a few of my favorite runs and he took it all in stride on a couple of days of roughing it on some spectacular hikes to some of the Kekchi villages where we have worked for more than a decade. Hope you enjoy our pictures. The first morning in the jungle, I took Aden out on a run near the town of El Paraiso (Paradise), and we saw this waterfall. Yep, it was just another day in paradise! After seeing the waterfall, we decided to jump in and found that the cool waterfall fell into a hot spring! As we soaked in the beauty, I looked up to snap this picture. A few hours after being in El Paraiso, Aden and I are looking from a tree-house above the waterfall called Las Conchas. Don’t tell his mom, but later on, we jumped off the 30-foot waterfall in the background! Aden pauses to admire this view of the river El Chiyu from right above the falls. The next morning we met with a gathering of pastors in Sepoc. As I look around the circle, each man represents a church that has been started in the past 15 plus years. 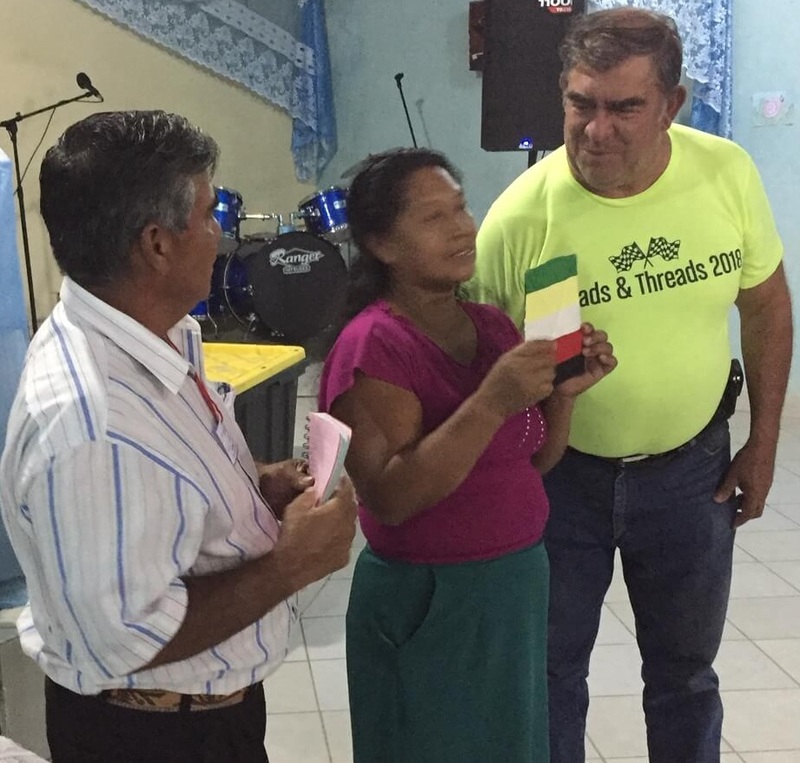 This day, Cesar is leading a discussion about how, with the opening of a new road, it is more feasible to connect with a Kekchi Baptist association only 3 hours away for training and encouragement. After the meeting in Sepoc, Aden and I, along with three other men, hiked about an hour up and over a mountain to Ochul Choch. Here Aden is happy to get up and start our first day of hiking. It’s almost impossible to capture the perspective of how steep this trail gets. I’m looking almost straight down to take this picture of Aden and our friend Cesario, who is carrying my backpack. On one of the lower flat sections of the trail, I was grateful that this was the “dry” season, and we had virtually no mud to slop through. Behind Aden is Cesario, Lorenzo (pastor of the church at Ochul Choch), and Pedro. We stopped for a break in front of Lorenzo’s house. Once we made it to Ochul Choch, our friends wanted to see if we were interested in riding a horse and then playing soccer! Aden jumps in to play before it gets dark and the church service will begin. Soccer has been the primary evangelism tool used by our Kekchi churches to reach new villages with the gospel. A Kekchi worship service begins in Ochul Choch. The song leader calls out the songs to the base fiddle player and the marimba team. Lights are provided by a gasoline powered generator that is rumbling outside. As the service began, one of the mothers hung her baby on a hook where she slept soundly the entire 2 and a half hour service! Lorenzo helping lead the children as they sing for the congregation. After this I got involved in the service and forgot to take any further picks! Aden was fascinated by all the critters around us. Here is one of our gecko roommates. Unfortunately he couldn’t save us 15% on our car insurance! The next morning, and only a few days before Thanksgiving, these turkeys were grateful that they were from Guatemala! After spending the night hanging in a couple of hammocks in the church, Lorenzo and his wife and daughter show us where they are working their fields. Lorenzo looks over his field of cardamom. These bushes produce a berry used to make perfumes. He and his wife sell this for money to give to the church. Going under the cardamom plants, Lorenzo wants to show us how they harvest the berries. Lorenzo’s wife is picking the berries off the cardamom as they grow out of the base of the plant. Here is a piece of chocolate cooked in a hut in the jungle. Here is the cacao fruit. When it is peeled the beans come out white as seen in the basket. Once the cacao beans dry, they look like this. Then they can be cooked into a drink or mixed with sugar to make what we recognize as chocolate! This bridge will allow the construction of a road that will cover much of the ground we hiked on our last day in the jungle. This swinging bridge that has handled foot traffic for many years may become obsolete in the near future. Watch out for that first step! It’s a doozy! Coming out of the jungle, Aden reflects on his week in Guatemala, and he admires one of Guatemala’s several mountain ranges of volcanoes. This one is near Ipala, Guatemala. Thanks for your continued prayers. Please continue to pray that God will send forth laborers into his harvest fields—especially for our Kekchi friends in Guatemala. Pray that the connections with other Kekchi churches will bring encouragement and support to the more remote churches we have worked with in the past few years. Also pray that our churches will influence others to use Play. Story. Eat. tools like soccer evangelism in other places. This coming week, Bill Burrows and I will be visiting Joel Wentworth and friends in the Sandhills of Nebraska. If you are in that area, we look forward to seeing you! I know this is last minute, but I still need two or three people to work with cowboys and ranchers January 10-17 in Guatemala and another two or three to go to Honduras with me January 24-31. Please contact me ASAP if you have interest. Keep those cards and letters coming! Your giving is making a difference. As we look at the coming year, we have several mission opportunities that we hope to share with you. Stay tuned! All cleaned up and heading home! Aden and I are grateful to you for your prayers during our time in Guatemala. Hi everyone! Hope you had a great Thanksgiving! If you are like those of us in Kansas City, you are thawing out after a blizzard blew through on Sunday. Brrrrrrrr! Jacob Burrows and Melissa Hochheimer about to be tied into a knot, crushed, and eaten… Sorry, I meant married! But all in all, we have a lot to be grateful for in the Daybreak International Play. Story. Eat. world. 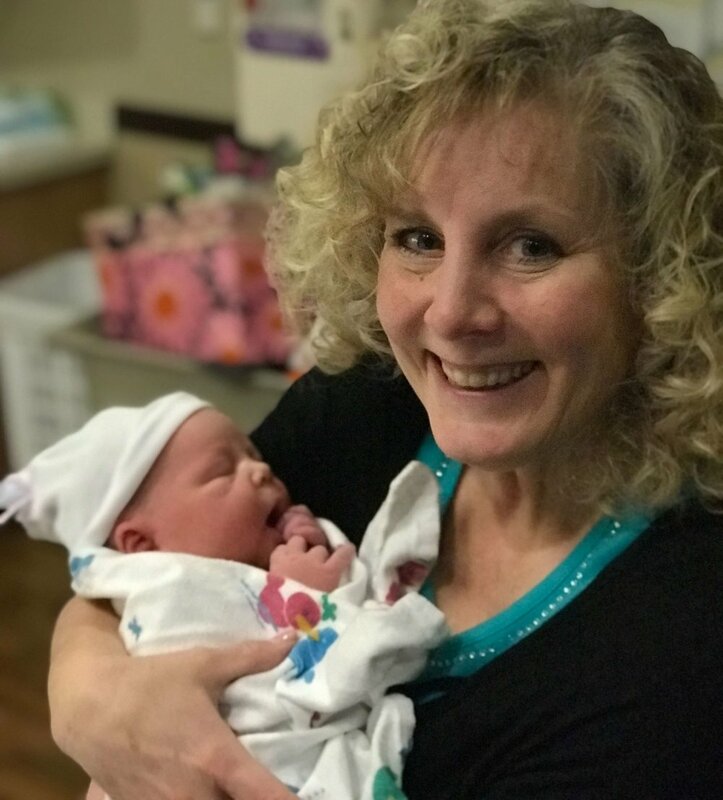 For starters, I got home from Guatemala just before Thanksgiving, and Bill and Joyce Burrows celebrated the wedding of their son Jacob to his new bride, Melissa, right before Thanksgiving as well. Beyond that, I am thankful for two successful projects to encourage our Play. Story. Eat. groups and churches in Guatemala. The last time I reported to you, we had just begun a week of activities with a Kansas City based team from LifeQuest Church in Belton, Missouri, and a couple of us from Nall Avenue Baptist in Prairie Village, Kansas. Every day of that week we changed venues to work with different people groups. All told, we touched base with 12 of our Play. Story. Eat. groups, covering the gamut by playing and having spiritual conversations with children, youth, women, men, and the elderly. Each day we figured out a way to join others who are learning to play, tell their faith stories, and eat together in a way that helps them become the church to one another. This team worked hard and had a great time learning and experiencing the Guatemalan culture. Here are a few pics of that team in action. Seated around the table from left to right, our Kansas City team consisted of Erica Whittington, Ty DeMint, Joe Cooper, me, Jeff Kroenlein, and Tim Goulet. Here are the staples of the Guatemala diet—beans, eggs, and tortillas. The eggs can be fixed almost any way you like, and this meal can be eaten for breakfast, lunch, or dinner. Here, Ty was loading up on the green hot sauce! 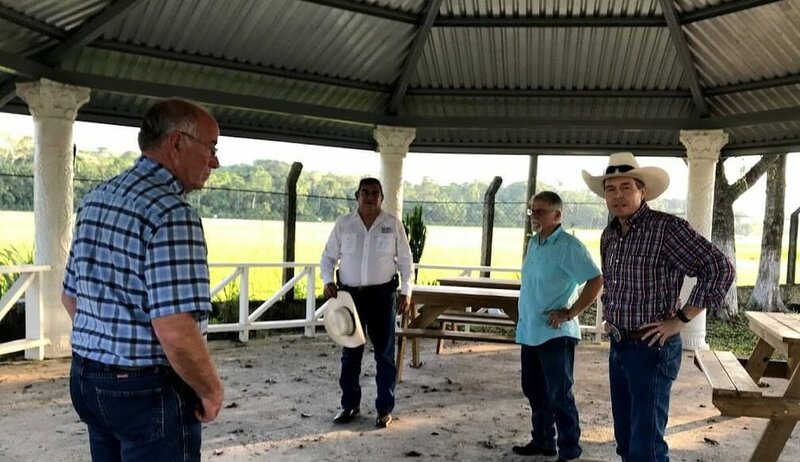 A new Christian Rancher group met near Pedro de Alvarado, just a few miles from the El Salvador border. This group had been meeting under a tree, but thanks to a donation from Cross Creek Baptist Mission in Oak Grove, Missouri, they had just recently put up a tin roof to shed the water for the rainy season. Tim Goulet (center) is teaching Ty and Erica how to make balloon figures. Balloons were a huge hit for all ages every place we went. Joe helps keep everyone supplied in balloons at a senior citizens center near Quesada, Guatemala. Ty shares a moment with a little girl in Quesada. I’m doing my best to translate Tim’s instructions on making a sword with the balloons to a group near Pedro de Alvarado. Jeff, Erica, Ty, and Joe hang’n with some new friends at their home in Las Bolsitas, a village where a new church has been started. It’s also the home of “Tigra” the dog who bit me nearly two years ago! Tim speaks to a youth group in Santa Rosa de Lima through a young interpreter from that group. Erica stirs up the mixture of a home-made cleaning solution that women near Quesada, Guatemala, are selling to supplement their family income. Cesar gives a gift on behalf of our group to a leader of a women’s group near Quesada, Guatemala, to serve as seed money to buy materials for a micro business multiplication project that makes and sells lotion for women. Erica teaches some ladies how to make a dog with their balloons. Ty and Jeff get in on a group exercise at the senior center in Santa Cruz Narranjo. Ladies at the senior citizens center in Santa Cruz Narranjo perform Guatemala’s official dance. Jeff enjoys a moment as one of the regulars at the senior citizens center in Santa Cruz Narranjo invited him to dance. Ty shows us how to play a game unstacking and restacking cups. Cesar is directing the time keeper to start the stopwatch. Cesar loves to have groups play Connect Four while they wait for people to gather. Erica expresses gratitude to one of the workers at a senior citizen center near Quesada. Thanks for your prayers for us during our time in Guatemala. Pray now that the seeds planted will sprout into strong groups where those who follow Jesus will live so wholeheartedly and contagiously, that their groups will grow and multiply. I need two or three people to work with cowboys and ranchers January 10-17 in Guatemala and another two or three to go to Honduras with me January 24-31. If you are interested let me know right away. Beyond those two groups, we are looking at doing a variety of mission projects with you in 2019. Any interest you might have, please contact me. This is the time of year many ministries count on to cover their operating budgets for the entire year. We are no different. In fact, many of our greatest expenses come in the first couple of months of the new year when giving can typically drop off. So thanks in advance for keeping us going. Your giving makes a huge difference! Thanks again for your prayers and support. In the next update, I plan to share some spectacular pictures taken from a trip to the jungle with Aden Shorney, a duck hunting enthusiast from Basehor, Kansas. Stay warm! Where A Dog Bites... God Plants a Church! Greetings from Guatemala! I am here with Jeff Kroenlein, Joe Cooper, Tim Goulet, and Erica Whittington of LifeQuest Church of Belton, Missouri. Also here is Ty DeMint from my home church Nall Avenue Baptist of Prairie Village, Kansas. We’ve only been here a day and a half and already have some stories we are excited to share with you. Yesterday was the last day of the “Day of the Dead” celebration that happens November 1 and 2. On these two days, everyone goes out to the cemeteries to have a picnic with their families. If you could imagine our Memorial Day combined with Halloween and the Fourth of July, you’d get the feel of it! To get the full experience, we walked through a local cemetery to see it firsthand. Cesar parked outside the cemetery in the truck while I led the team through the maze of people. Because I have been in this region many times through the years, several people spotted me who knew me already. Our first day in Guatemala, the team paused in a cemetery for the annual “Day of the Dead” celebration. What I didn’t realize yesterday was that just by walking through the cemetery we would make an impact in people we saw today! Hang with me, because this story involves a dog bite of 2 years ago, a children’s event we did today in Cesar’s hometown of Amberes, and a pineapple we bought at the cemetery! In two different church starts within walking distance of Cesar’s house in Amberes, Cesar had arranged for the pastors of these churches to bring some children from their villages for a Play. Story. Eat. morning for kids. Sixteen children came from a brand new house church. About 45 came from a church that has been going several years in another village. My friend Tigra, who bit me nearly two years ago. Part of our team walked with Jose, pastor of the new house church, to where he had arranged for us to gather children and bring them to our event. As Jose led us up the trail to this house, I noticed that we were hiking along the trail that I liked to run. In fact, yesterday, Ty and I ran this trail on our first morning in Guatemala. When we got to the house, I could hardly believe my eyes! This was the very same house where, two years ago, I had been bitten by a dog! If you have been on our updates for a while, you might recall the dog bite story where that very same dog had been vaccinated two months prior by a US veterinary group! Sure enough, “Tigra,” my friend, was there to meet our group! She calmly walked around us as we talked with the family. In front of Tigra’s house, I took this picture of our group before we hiked to Cesar’s house. About 50 yards from Tigra’s house is the new house church where Jose is working to reach families through a weekly children’s gathering. Yesterday two of the sets of parents had accepted Christ with Jose when he was getting permission for the children to come to our event. As we walked the trail with the children, they mentioned that they had noticed me running through the village from time to time and had even seen Ty and me yesterday morning. At the children’s event, we had a a great time. Tim taught the children how to make dogs and swords and hats out of balloons. Jeff did magic tricks. Ty, Erica, and Joe told stories. And all got snow cones and a hot dog. About 60 children came for our children’s event at Cesar’s house. Here they sat for instructions before breaking into three groups. Alejandra served us our Crazy Pineapple. During our time together, several of the children mentioned that they had seen us at the cemetery talking to people they knew. At one point yesterday, just outside the crowded cemetery, we bought a “Crazy Pineapple.” It’s when they put cayenne pepper, chili sauce, lemon, and salt on a perfectly good pineapple! Little did we know that Alejandra, the lady serving us, would be the person that Cesar had hired to make snow cones for the children today at his place! When we connected with her today, we found out that she is a believer who wants to serve God. We had a chance to encourage her to make a difference with her friends who don’t know Jesus. Ty, Joe, and Tim enjoyed the pineapple. Sunday, we will be near Moyuta, where we started a Christian Rancher group that did the trash project earlier in the year. 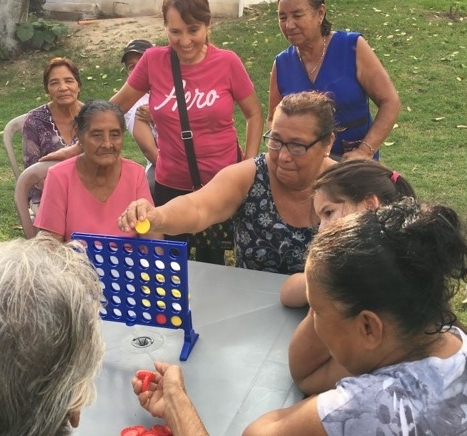 Monday we work with young people in Santa Rosa de Lima, Tuesday we work with women’s groups near Quesada, and Wednesday we plan to be with older folks in Santa Cruz Narranjo. Please pray for our team this week. If you have an interest in a mission trip, please let me know. When I get home we will be looking at the calendar to nail down the dates for January through August of 2019. Thanks for your faithful giving. We had just enough to cover the expenses for the next two weeks of activities here. Muchas Gracias! Thanks again for your prayers. I hope to share more stories from this trip! Thank You, Cornerstone SBC of Hays, Kansas! Bill and I had a great time with the good folks of Cornerstone Southern Baptist Church in Hays, Kansas, October 5-6th. We both witnessed the work of God in the people of Cornerstone. They are so responsive to God’s work in their lives. We are excited to see how God uses them to love Hays and central Kansas. Special thanks go to their pastor, Jason Murray, and their team of warm and hospitable folks. Bill and I enjoyed our time with the great folks of Cornerstone SBC of Hays, Kansas. What a great weekend! By the way, several of them have already started our 3-week Play. Story. Eat. trial with some friends. Pray that this sparks a contagious faith in them and that they would want to continue. Also pray for them as they team up to reach out to a nearby apartment complex to build spiritual friendships with the residents there. We have two teams that are preparing to head down to Guatemala. 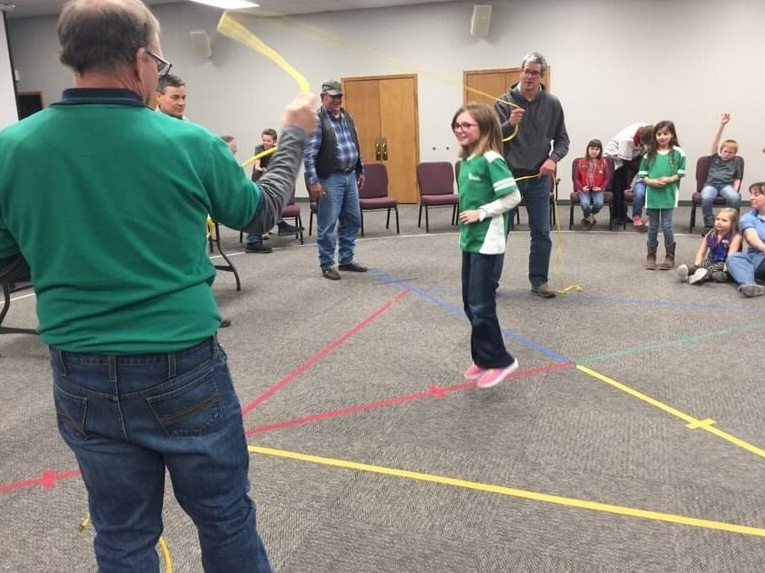 November 1-8, a group from LifeQuest Church of Belton, MO, and a group from Nall Avenue Baptist of Prairie Village, KS, will be teaming up with Cesar Gonzalez to touch base with several of the newest PSE groups. From women’s groups to Christian Rancher groups to a senior citizens group, the experiences and settings will be varied. The most unusual day will be November 2nd when we go to the cemetery for the annual “Day of the Dead” tradition. This holiday is like our memorial day mixed in with the fourth of July. Whole communities pause to go to cemeteries and remember the dead, eat a lot of food, and play games. Pray that during this time some of our team will have a chance to share their faith story. November 8-15, I will be joined by a young man from Westside Church of Shawnee, KS, for a quick trip to the jungle. On the way, we will drop in on some Christian Rancher groups. While in the jungle, we plan to visit two of the newest Kekchi churches. In the last couple of weeks, one church baptized 10 people and the other 8! As always, pray that the Lord of the harvest will multiply His laborers for His great harvest. Here’s a picture of the first baptisms in Sepoc 13 years ago. This church is now the leader in the region in helping other churches get started. I hope to get pics of their recent baptisms. Stay tuned! This is one of my favorite jungle pictures of all time. It captures a new church reflecting on the significance of the baptisms they have just witnessed. Thanks for your continued generosity. Your gifts advance the work of building spiritual friendships to make disciples! Below is our easy button for investing. You may be noticing that churches of all kinds and all sizes are using us to train their people to use their talents and interests in unique ministries of building spiritual friendships. If you would like for us to come to your church to coach or train a group, let us know! In a moment, I want to highlight an upcoming Play. Story. Eat. training event, but before doing so, I am busting at the seams to share what has happened in the past couple of weeks with some of our friends and family in Nebraska. 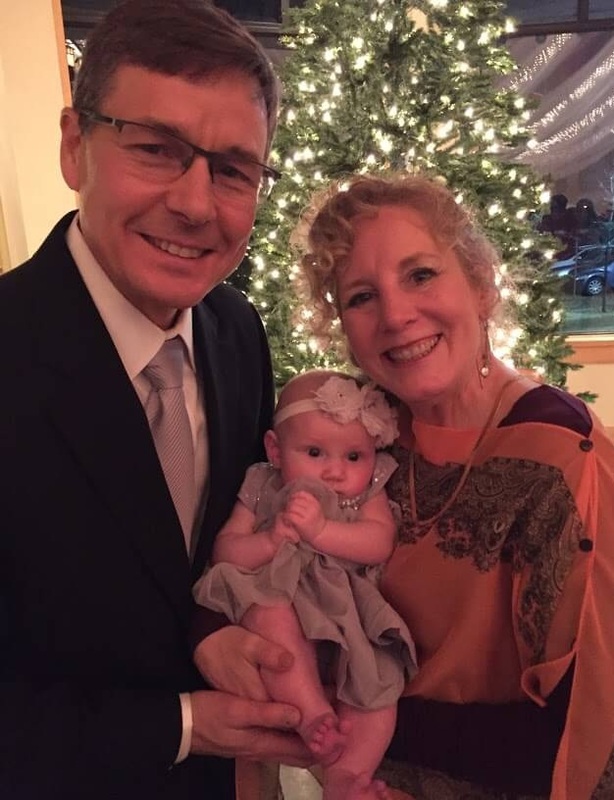 First, the Turner family wanted me to thank you for praying for them at the passing of Lawrence Turner’s wife, Sue. For me, her homecoming celebration was truly a wonderful time for many of us to get together in her hometown of Valentine, Nebraska. In between Valentine and Omaha, I had the privilege of staying with David and Perla Martinez in Norfolk, Nebraska, to see the churches and ministries that David is leading to reach Hispanics in Nebraska. Besides his Norfolk congregation, David has been catalytic in seeing other Hispanic churches started. David Martinez speaks to Companerismo Cristiano, his congregation meeting at Northern Heights Baptist Church in Norfolk, Nebraska. The Companerismo Cristiano congregation hung around to take a picture with me after the service. I had the privilege of speaking to the church on Sunday, and after the service a young lady came up just beaming from ear to ear. “Do you remember me?” she asked. “You look familiar, but help me out,” I replied. “My name is Julieta,” she revealed. “I sat next to you on the airplane from Guatemala to Dallas in June of 2017!” After introducing me to her daughter, sister, and mother, Julieta reminded me of how she was originally from Zacapa, Guatemala, but has made Norfolk, Nebraska, home with her family. Since Zacapa is one of the areas where we are trying to get some Christian rancher groups going, Julieta may be helping us get in touch with some of her family back in Guatemala. Stay tuned for more on that story! In a fun surprise, I got reacquainted with my airplane friend, Julieta, here with her daughter after the Sunday service in Norfolk. Besides connecting me with his congregation, David arranged on short notice for me to speak at a pastors gathering of the Northeast Nebraska Baptist Association about the Play. Story. Eat. method we use both in Latin America and in the U.S. Thanks to the positive reception, we plan to be back in December for PSE training in both English and Spanish for those in that region. At Primera Iglesia Bautista in South Sioux City, Nebraska, I got to hear about God’s moving in the churches in that region, and they allowed me a chance to share the Play. Story. Eat. story. Upcoming Training Event in Hays, Kansas! And that leads me to what’s coming up. On Saturday, October 6th, from 9am to 3pm, Bill Burrows and I will be doing a Play. Story. Eat. Training Camp in Hays, Kansas. Location is Cornerstone Southern Baptist at 1605 East 29th. Let us know if you’d like to come. For those in that region, contact pastor Jason Murray at (336) 978-8460. 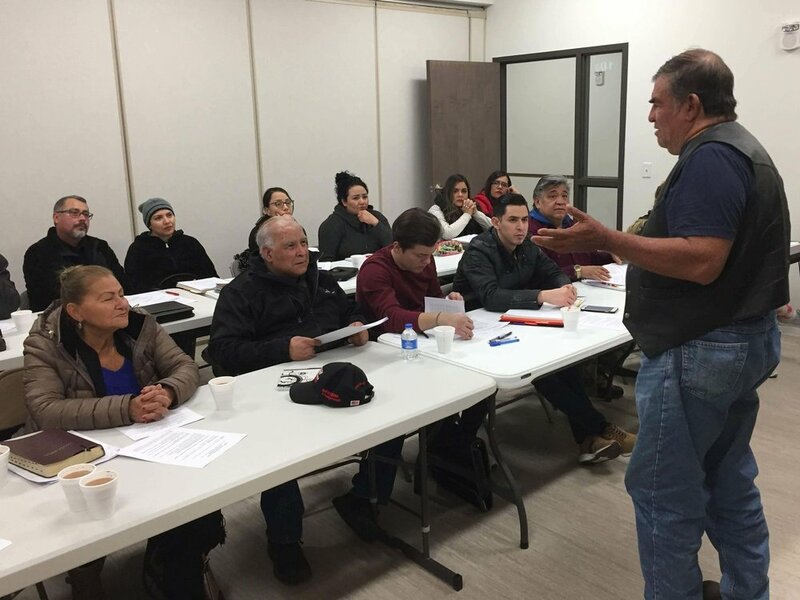 Pray for more laborers to be sent into the harvest with Hispanics in Nebraska, and pray for the training events coming up in both Kansas and Nebraska. Your giving continues to keep us moving and shaking and is strategic to helping us see that every person in the world has a friend who loves Jesus. Below is our easy button for investing. Besides our upcoming training in Hays, we plan to be in Pratt, Nebraska, for the Kansas Nebraska Convention of Southern Baptists annual meeting October 8-9. If you are planning to go, we hope to see you there! Landon Michael Reed arrived off the assembly line September 20th weighing in at 8lbs 7oz. Nola and I got a chance to approve of Josh and Kristin’s hard work!